When shopping for the best mattress, consumers should invoke the timeless axiom, “To each his own.” After all, each of us has unique qualities that we want in the consummate mattress. For example, some consumers prefer the Casper mattress, while other consumers decide to purchase the Leesa mattress. Once again, to each her own. Before we dive into the Casper vs Leesa mattress debate, we need to review the primary factors that determine the best mattress for you. The following represents a list of mattress buying factors. You should prioritize the factors to help you decide between a Casper and Leesa mattress. Mattress firmness leads the list of buying factors and for good reason. Most mattress manufacturers present a mattress firmness scale on company websites, but numbers alone do not tell the entire support story. You do not sleep in a straight line, even if you start the night lying straight from head to toe. We all move around during eight hours of sleep and how the mattress supports our movements goes a long way in determining which mattress works best for you. Most foam mattresses contain chemicals that when leeched, cause allergic reactions. Prevalent indoor allergy producers, such as dust mites and dog dander, end up collecting underneath and on the sides of mattresses. 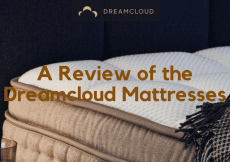 Although older mattresses often create unhealthy sleeping environments, some newer mattresses-especially latex foam mattresses create enough allergens to turn a restful night’s sleep into a toss and turn festival. As with firmness ratings, most manufacturers present allergen information for each mattress offered. Shopping for a mattress is not any different from shopping for most products. You have to decide which features you want to deliver certain benefits. Never try to save money by eliminating mattress features from your shopping list. Many mattress features enhance the quality of your sleep and hence, the quality of your health. Some consumers search for used mattresses based on one reason: Price. Tossing and turning on a lumpy mattress throughout the night is not worth saving a few bucks on a used mattress. Mattress manufacturers have integrated advanced technologies into their production platforms, which has lowered the price of the highest quality mattress. Although price should factor into your mattress buying decision, it should never dominate the conversation. Mattress warranties cover defects within a designated period. Search for mattresses that cover the claims made by a manufacturer. Claims include allergen free mattress covers and the contoured design that supports all types of sleeping positions. Buying a new mattress can take a large chunk out of your bank account. Make sure the manufacturer covers all of the quality bases by offering an extended warranty. 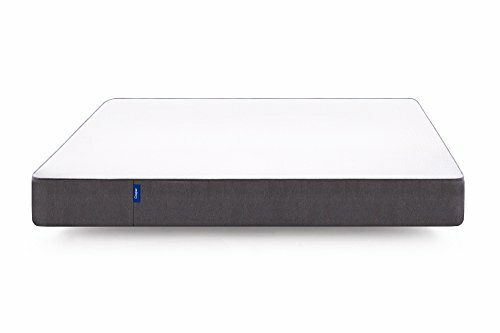 The Casper mattress combines three distinct foam layers to induce and enhance sleep. The top layer cools the body and thus ensures a comfortable night’s sleep. It also provides outstanding bounce. Casper designed the middle layer for support and more important, to relieve pressure from the shoulders and lower back. 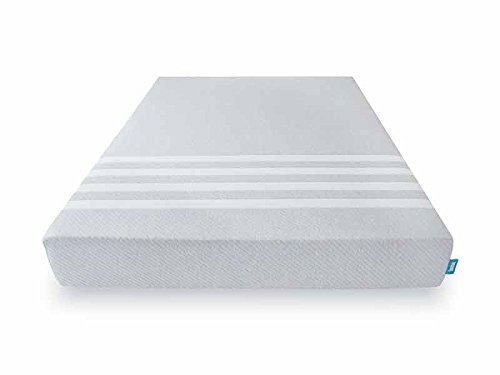 High-density support foam found at the bottom of a Casper mattress possesses above average breathability. 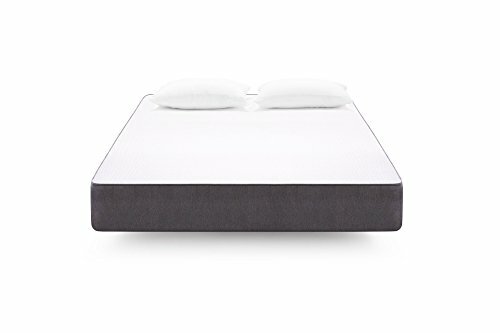 The three-layer Casper mattress design works on the principle of “Getting the best of all worlds.” Of all the reviews posted online, the three-layer Casper mattress design receives more praise than any other mattress, except for one. The firmness rating provided by Casper gives you a foundation to determine mattress comfort. Three body sinkage tests confirm firmness claims. 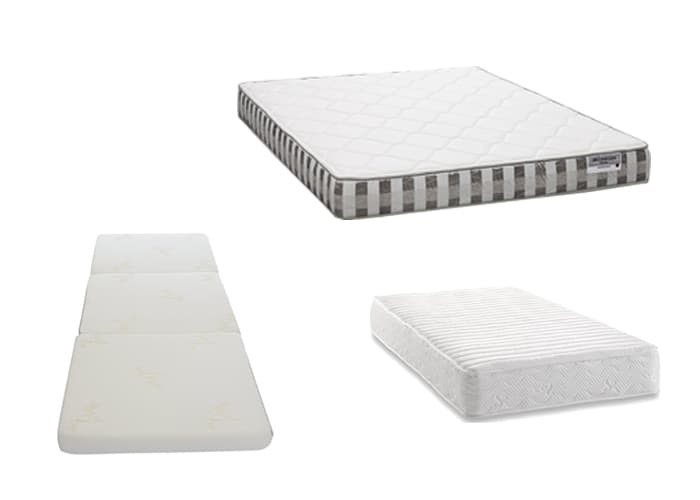 Each test demonstrates mattress firmness at three different positions. The Casper mattress sinks between 1 and 1.5 inches in a normal lying position. Remember to account for body weight, as results depend on your body size. Sitting on the edge of a Casper mattress causes up to 2.5 inches of sinakge. The sinkage almost doubles, when you sit at the very end of a Casper mattress. Standing in the middle of a Casper mattress creates a five-inch depression. Overall, the Casper mattress retains an above average firmness level for several years. There is also little motion transfer, which prevents one partner from disturbing the other partner’s sleep by moving around the mattress all night long. The single piece of white fabric that comprises the Casper mattress cover stretches to account for mattress movement. Designed to create a smooth texture, the cover increases the rate perspiration evaporates from the skin. The rapid cooling effect makes the Casper mattress one of the most comfortable mattresses for consumers that live in hot, humid climates. Aesthetically, the two-tone cover design deviates from the typical all-white rectangle pattern found on virtually every other type of mattress. For a factory sold direct mattress, the Casper mattress sits around the average price for a foam mattress. Shopping for a Casper mattress in a big box furniture store can run you between $2,000 and $3,000. The advantage of shopping in person lies in testing the mattress features. Casper offers a 100-day home sleep test period for mattresses sold factory direct or through retailers. 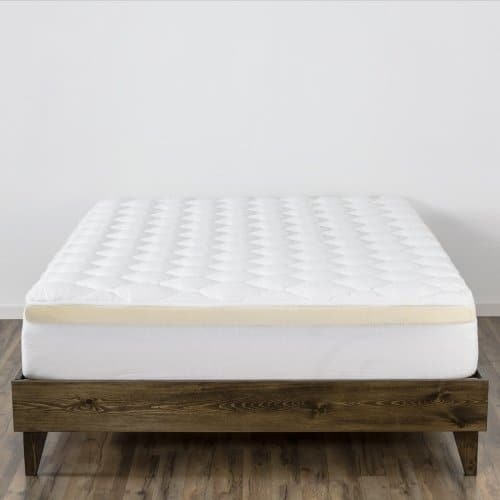 The warranty for a Casper mattress covers standard mattress issues such as firmness and durability.Check out the latest discounts and prices here anytime! Leesa follows a full materials disclosure policy for its line of mattresses. The Leesa foam mattress starts on top with two inches of Avena foam, which represents polyurethane foam that closely resembles latex. However, “closely resembles” might not be enough for latex foam fans. The middle comfort layer also spans two inches thick, which is more than the thickness offered by the Casper mattress middle layer. Leesa’s mattress foundation layer provides six inches of density support. Although the Casper and Leesa mattress share three-layer designs, the Leesa mattress layers are considerably thicker, especially the bottom two layers. Because of the additional layer thickness, the Leesa mattress sleeps firmer than the firmness offered by the Casper mattress. 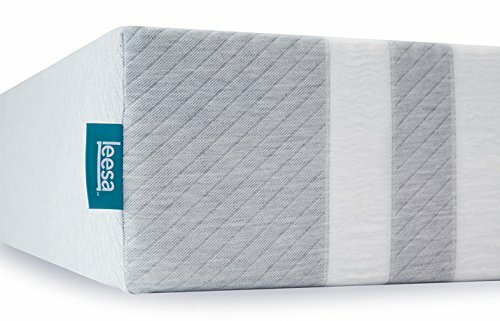 Several online reviews peg the Leesa mattress firmness level between six and eight, which falls within the normal firmness range for most types of mattresses. Consumers that want extremely soft or extremely firm mattresses should look elsewhere. Mattress comfort is, as they say, in the eye of the beholder. 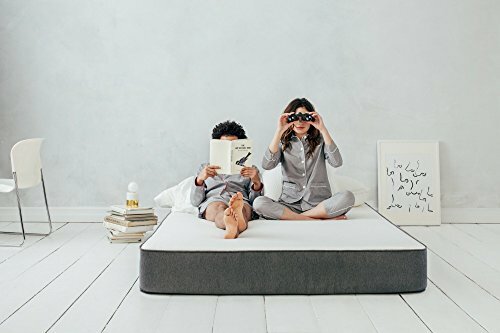 Yet, the Leesa mattress shines in the comfort category, as a vast majority of online and printed reviews praise the mattress for its thick, three foam-padded design. Leesa designs the mattress in a shop specifically equipped with cutting edge machines that produce one of the softest covers available in the mattress market. The mattress manufacturer does not sacrifice firmness for comfort, as buyers of the mattress can sleep in several different positions throughout the night. Foam mattresses have earned the reputation for sleeping “hot,” but Leesa has created a highly breathable foam layered mattress that keeps you cool. Despite the affordability of a direct factory ordered Casper mattress, the Leesa mattress provides greater value. Leesa ships the mattress directly to your home, thus cutting out the costly wholesaler. With a standard 10-year warranty and a 100-night sleep trial that matches Casper’s free trial, Leesa outshines Casper in the value category. Leesa offers a more stylish cover design that allows you to mix and match patterns with bedroom décor. Leesa’s full materials disclosure policy educates consumers on the type of materials that can cause allergic reactions. Consumers that have an aversion to sleeping on Avena foam have the option to customize the top layer to avoid sneezing the night away. Let’s not forget what makes the Leesa mattress superior to the mattress manufactured by Casper: Thick, more resilient foam layers that combine the features of a firm mattress and the comfort of a high-end mattress. Leesa has raised the bar for mattress comfort and firmness by developing an innovative three foam-layered mattress that delivers high-end performance, at a reasonable price. Casper vs. Yogabed - Which Should You Buy?